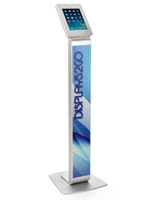 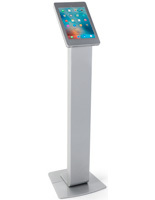 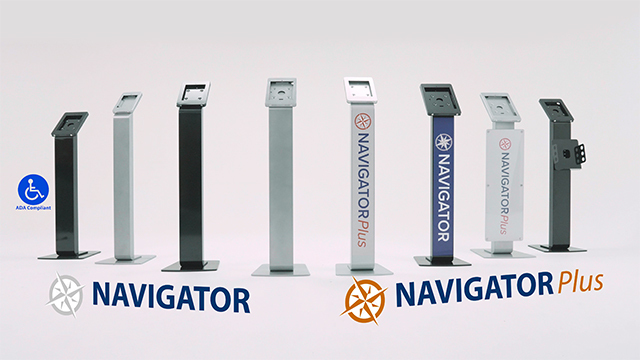 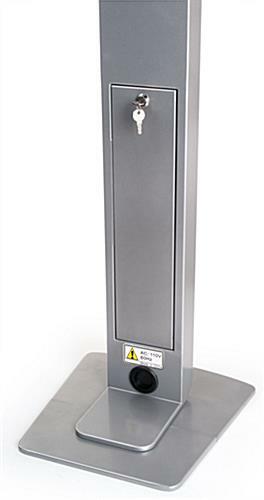 These silver angled iPad floor stands can be used as a directory of exhibits or presentations when situated near the entry way of a museum or gallery or trade show. 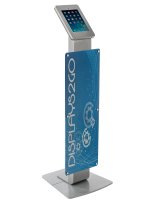 Customers enjoy surfing on interactive kiosks from a store floor, researching product lines or learning about a company brand. 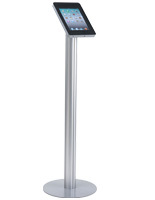 These angled iPad floor stands, also known as touchscreen mounts, have an integrated charger that can be locked into its channel for continuously powering the device. 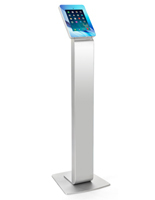 All of these tablet stands are made of strong aluminum with a neutral finish, blending with any decor in a commercial setting. 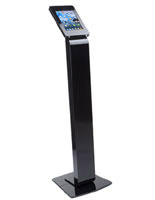 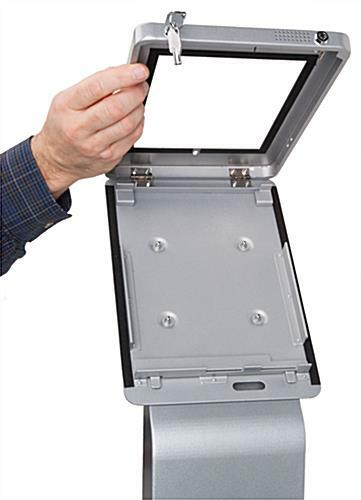 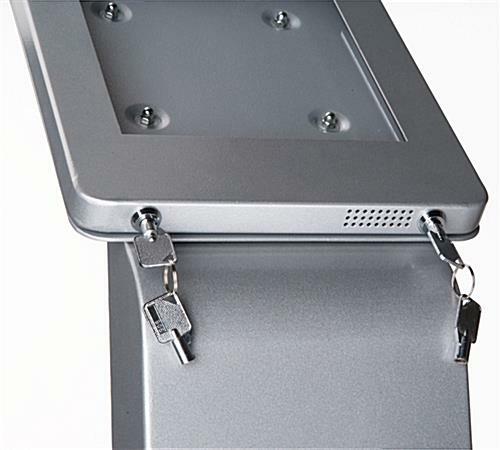 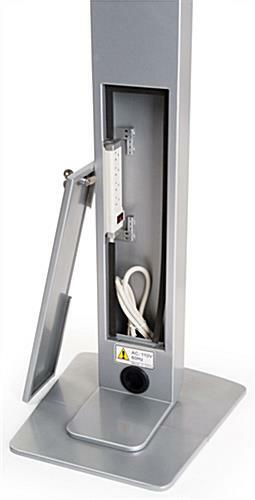 Protect your device - and data - with these iPad floor stands including an integrated powerstrip!